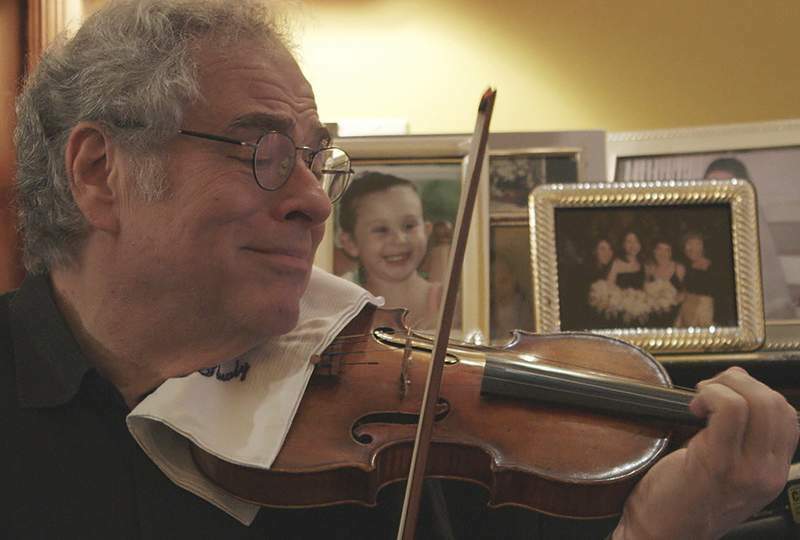 Greenwich Entertainment Violinist Itzhak Perlman, seen at home, is the subject of a new documentary. That's Toby Perlman, the wife of Itzhak Perlman, describing the music of her husband in the documentary “Itzhak.” Director Alison Chernick profiles the violin virtuoso, through his performance, of course, but she also reveals a personality as expressive as his musicianship. The passion for storytelling comes through Perlman's instrument, even if he's just playing exercises to try out a new violin (Jewish-made). “It plays Jewish automatically,” he says. A shelf full of Grammys and Emmys shows how far Perlman has come, but neither accolades nor disability seems to have left him jaded. “Itzhak” captures more than just notes on a scale. It reveals a vibrant spirit behind the music.